"The Merkel" brand first appeared in Milwaukee Wisconsin in 1902 when Joseph Merkel set-up shop producing single cylinder motorcycles. By 1905 Merkel had decided to engage in competition, and produced several racing machines. 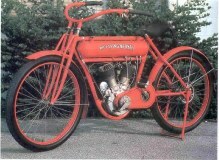 Merkel's motorcycles were to set many performance standards during the emerging American racing scene. 1911 Flying Merkel Belt Drive Single Cylinder Manufactured by the Merkel Light manufacturing company. 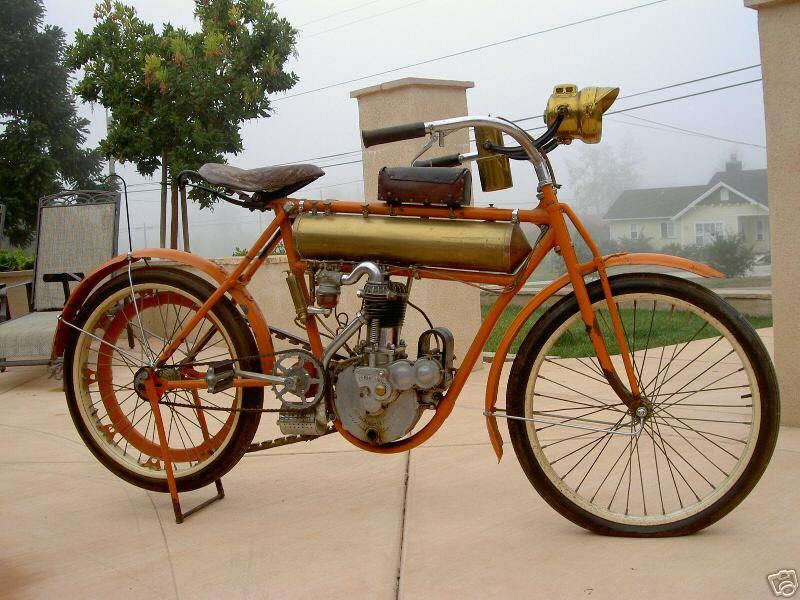 This is a very rare and desirable early American made veteran motorcycle.Picture courtesey of Bator International Inc.